Extemely limited availability on this great value ticket - book now! 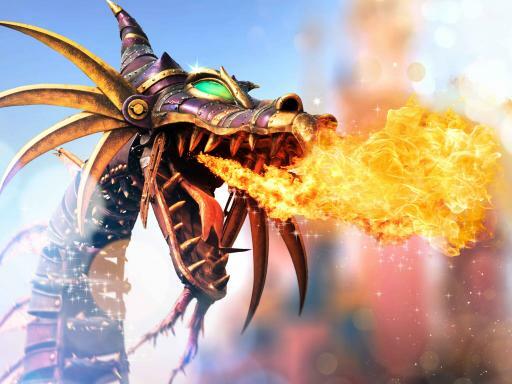 Experience more of the magic at Disneyland® Paris with the brand new Experience+ Ticket which includes a Super FASTPASS, access to a privileged Illuminations viewing area and incredible dining and merchandise discounts. 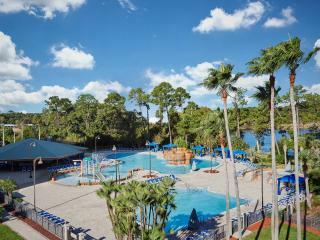 comment Save up to 32% versus the gate price! 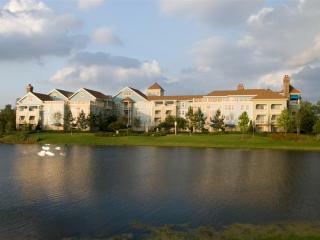 Same day access to BOTH Disneyland® Park and Walt Disney Studios® Park with the ability to hop from one park to another. 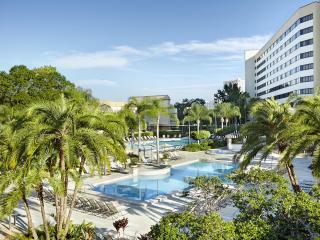 Buy your ticket now and save up to 33% versus the gate price! 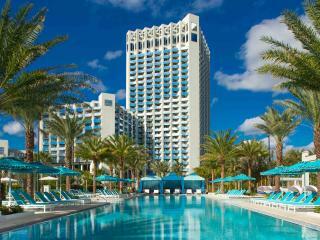 comment Buy your ticket now and save up to 39% versus the gate price! 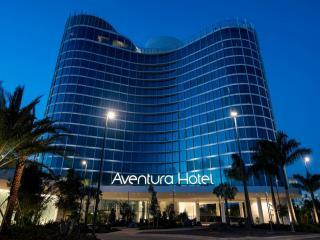 Buy your ticket now and save up to 39% versus the gate price! 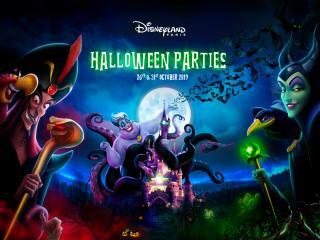 comment Flexible open-dated ticket - visit Disneyland Paris on the date that best fits your plans! 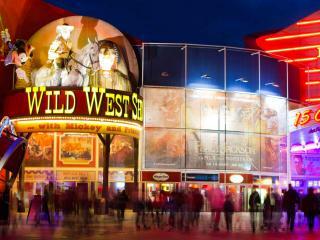 2 days admission to BOTH Disneyland® Park and Walt Disney Studios® Park within an 7 day window from first use. 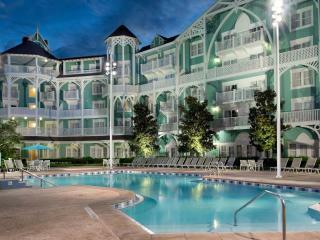 Minimum fuss when you arrive at Disneyland® Paris. 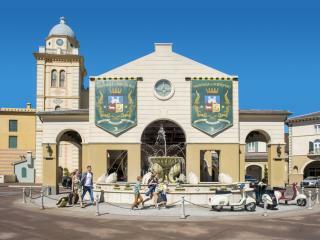 Simply scan and exchange your voucher at one of the ticket machines at the Disneyland® Park entrance to get your ticket. 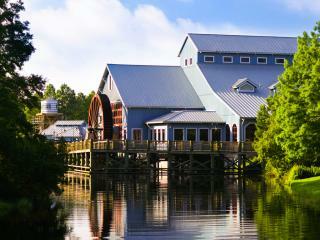 Skip-the-Line for the most popular rides by using Disney Standard FASTPASS®. 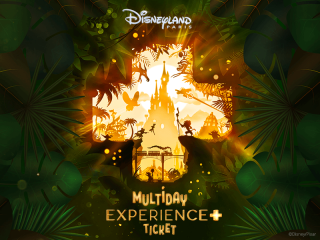 Flexibility - our 2-Day/2 Parks Disneyland® Paris Hopper Tickets are open-dated, giving you the flexibility of visiting Disneyland® Paris on the date that best fits your itinerary. Tickets can be activated at any time within 12 months of purchase. 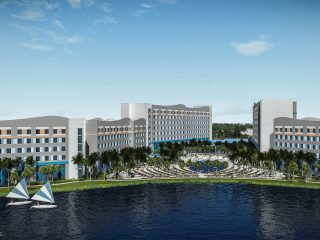 comment Includes a Super FASTPASS®, access to a VIP Illuminations viewing area, and amazing dining and merchandise discounts! 2 day admission to BOTH Disneyland® Park and Walt Disney Studios® Park with standard FASTPASS® - come and go as you please between both parks! Save 20% on merchandise on purchases €60 or more, valid for the number of days selected and can be used as often as you like! comment This Flexible Ticket can be activated at any time within 12 months from the date of purchase! 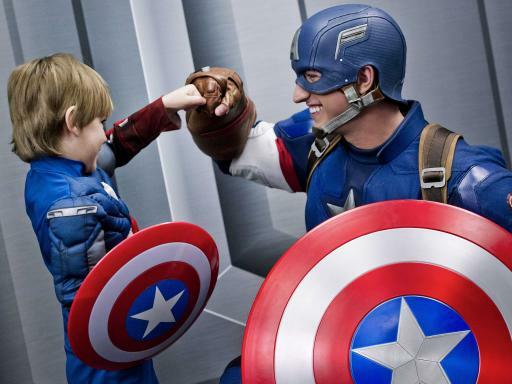 3 day admission to BOTH Disneyland® Park and Walt Disney Studios® Park with standard FASTPASS® - come and go as you please between both parks! comment 4 Day Ticket is exclusive for pre-purchase; Buy now - cannot be purchased at the gate. 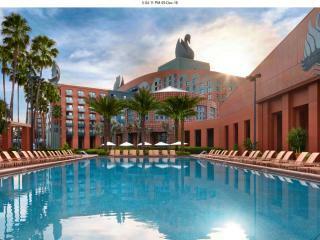 4 days admission to BOTH Disneyland® Park and Walt Disney Studios® Park within an 7 day window from first use. 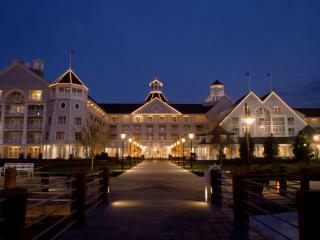 Minimum fuss when you arrive at Disneyland® Paris. 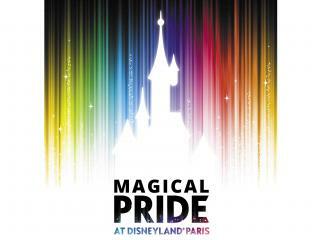 Simply scan your voucher at one of the ticket machines at the Disneyland Park entrance to get your ticket. 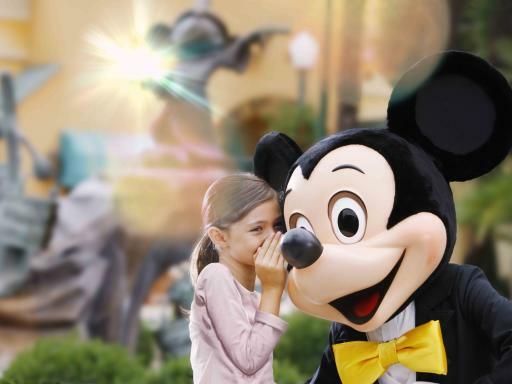 Flexibility - our 4-Day/2 Parks Disneyland® Paris Hopper Tickets are open-dated, giving you the flexibility of visiting Disneyland® Paris on the date that best fits your itinerary. Tickets can be activated at any time within 12 months of purchase. 4 day admission to BOTH Disneyland® Park and Walt Disney Studios® Park with standard FASTPASS® - come and go as you please between both parks! 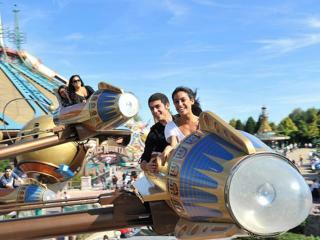 comment Roundtrip dedicated shuttle transfers from the centre of Paris aboard the Disneyland® Paris Express. Roundtrip dedicated shuttle transfers from the centre of Paris aboard the Disneyland® Paris Express. Choice of 4 pick-up and drop off locations in Paris located near the most popular hotel districts. 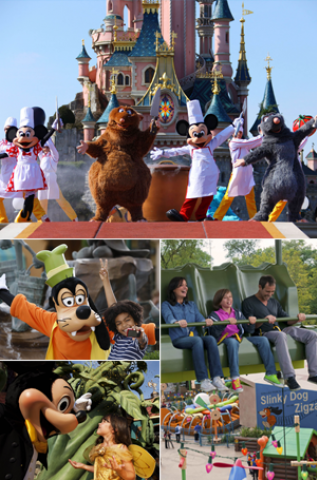 Full day admission to both Disneyland® Park and Walt Disney Studios® Park with the ability to hop between both Disneyland® Paris Parks. 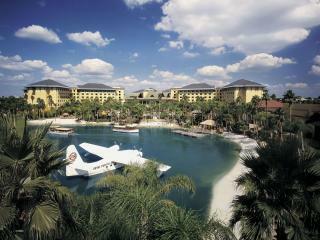 comment Buy your ticket now and save up to 33% versus the gate price! comment 4 Day Ticket is exclusive for pre-purchase; Ticket cannot be purchased at the gate. Flexible open-dated ticket - tickets can be activated at any time within 12 months of purchase. 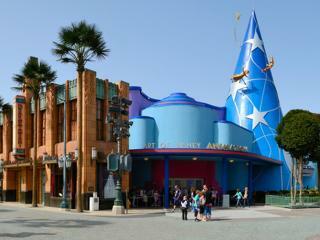 4 days admission to BOTH Disneyland® Park and Walt Disney Studios® Park within an 7-day window from first use. 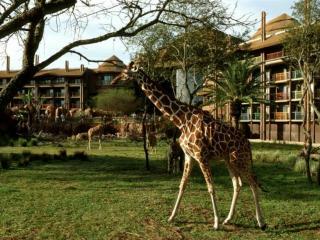 Ability to hop from one park to the other as many times over 2 days. 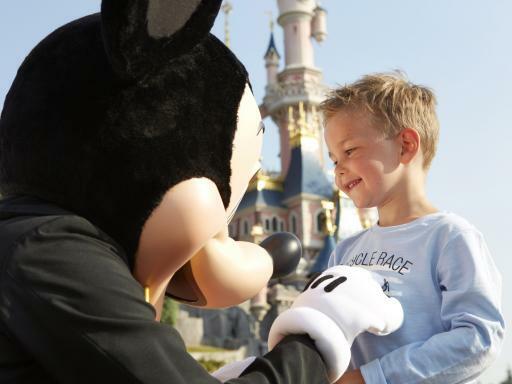 Many of our great-value Disney® Paris tickets are exclusive to UK and Ireland customers and can’t be purchased at the park. 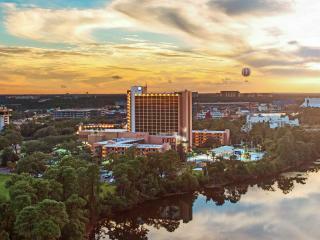 Imagine a land where the wonderful world of Disney comes alive. 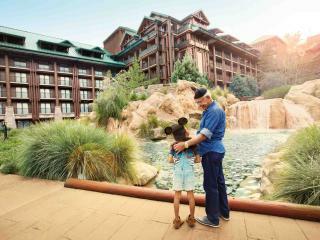 Imagine Disneyland® Park, where make-believe is real and Walt Disney® Studios Park, where the magic of Disney meets the magic of cinema. Give the kids a disposable camera so they can take their own photos. 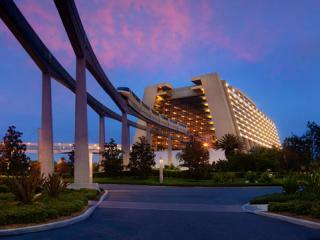 We're so lucky to have Disneyland just a hop, skip and jump away. I get my magic fix atleast twice a year. Love it! 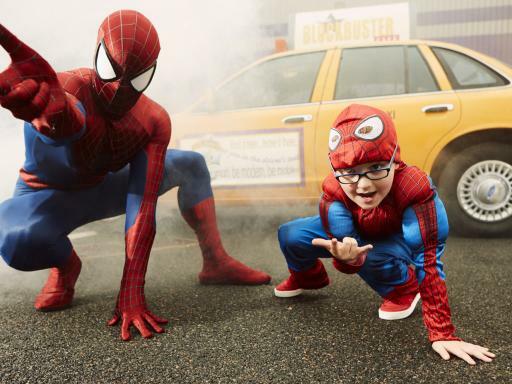 Get closer to the magic with your Disneyland® Paris Tickets and discover classic Disney characters and five enchanting lands at Disneyland® Park, then hop across to Walt Disney® Studios Park where the world of cinema and television comes to life. 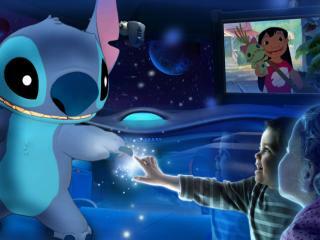 Disneyland® Paris is where stars light up the skies in a dazzling galaxy... not so far away. 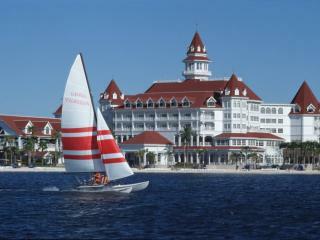 Where new adventures come alive, shining brighter than ever. 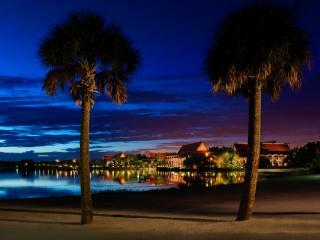 All in a magic kingdom, celebrating life’s most precious, and most starry-eyed moments. 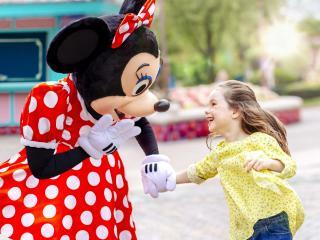 Book Disneyland® Paris Tickets - Save Time and Enjoy Huge Savings on the Gate! 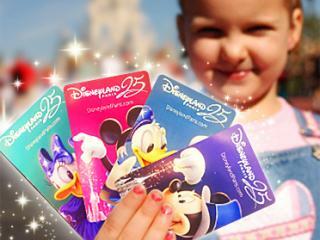 Our Disneyland® Paris Tickets gives you a variety of admission tickets to Disneyland® Park and Walt Disney® Studios Park. Book one of our popular "Hopper" tickets and have the flexibility to visit both parks for the duration of your stay, or, if you are limited on time, our 1 day, 1 park ticket could be the ideal option for you. All our tickets also include the fantastic Standard FASTPASS®, a free queue-jumping service that shortens your wait at the most popular attractions in Disneyland® Park and Walt Disney Studios® Park. 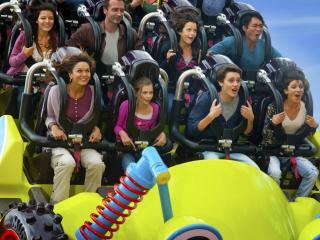 2-Day/2 Parks Hopper Ticket: Enjoy 2 days free-roaming admission to both Disneyland® Park and Walt Disney Studios® Park. Tickets are open dated and can used anytime within a year from purchase date. NEW! 2-Day/2 Parks Disneyland® Paris Experience+ Ticket: Enjoy 2 days free-roaming admission to both Disneyland® Park and Walt Disney Studios® Park as well as a host of extras including a Super FASTPASS®, dining and merchandise discounts and access to priviledged viewing area for Disney Illuminations. 3-Day/2 Parks Hopper Ticket: Enjoy 3 days free-roaming admission to both Disneyland® Park and Walt Disney Studios® Park. 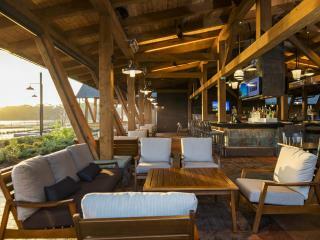 Tickets are open dated and can used anytime within a year from purchase date. NEW! 3-Day/2 Parks Disneyland® Paris Experience+ Ticket: Enjoy 3 days free-roaming admission to both Disneyland® Park and Walt Disney Studios® Park as well as a host of extras including a Super FASTPASS®, dining and merchandise discounts and access to priviledged viewing area for Disney Illuminations. 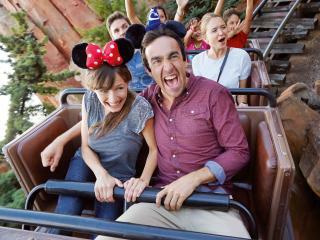 4-Day/2 Parks Hopper Ticket: Enjoy 4 days free-roaming admission to both Disneyland® Park and Walt Disney Studios® Park. Tickets are open dated and can used anytime within a year from purchase date. NEW! 4-Day/2 Parks Disneyland® Paris Experience+: Enjoy 4 days free-roaming admission to both Disneyland® Park and Walt Disney Studios® Park as well as a host of extras including a Super FASTPASS®, dining and merchandise discounts and access to priviledged viewing area for Disney Illuminations. 1-Day/2 Parks Disneyland® Paris Hopper Ticket with Transport: A great option for those on a city break to Paris, this Disney® Paris Ticket includes roundtrip coach transportation direct from central Paris to the parks aboard the Disney® Paris Express Shuttle plus a 1 Day/2 Park Disney Ticket. Reservations are required for this product. In a magical kingdom not so far away, classic Disney heroes and heroines live once upon a time in fairytales that are, happily, never ending. 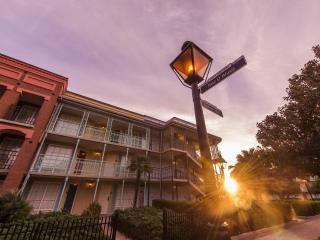 The story begins in the good ol' days of the early 1900s in Main Street, U.S.A®. 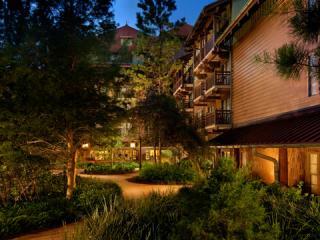 Then, turn the page and saddle up for some serious fun in Frontierland -Yee Ha! 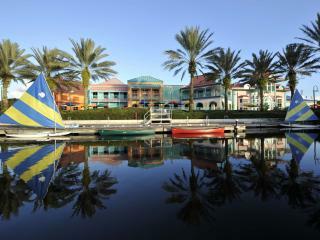 Set sail for an Adventureland of swashbuckling thrills. 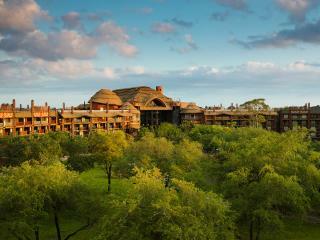 Take flight into Fantasyland where Disney princes and princesses are real. 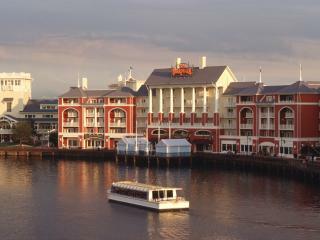 Or charter a course into the past and live extraordinary visions of the future in Discoveryland! 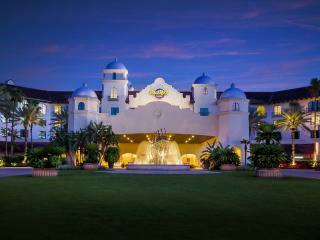 Welcome to the storybook world of Disneyland® Park. 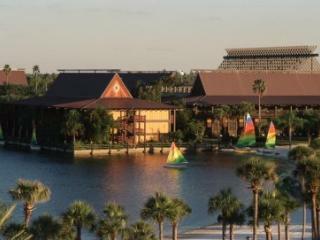 Where enchantment lives. 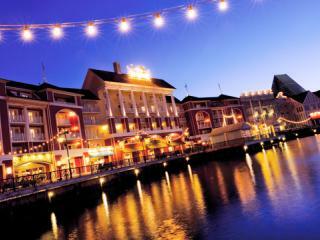 Walt Disney Studios® Park Where it's Lights! Camera! 360° Magic! Everywhere! All the time! 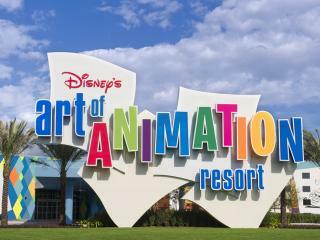 Step through the Studio Gates and let your imagination soar. Time to immerse yourself in the never-ending, always-fascinating world of movies, animation and television. Four Zones. One single focus: ENTERTAINMENT! 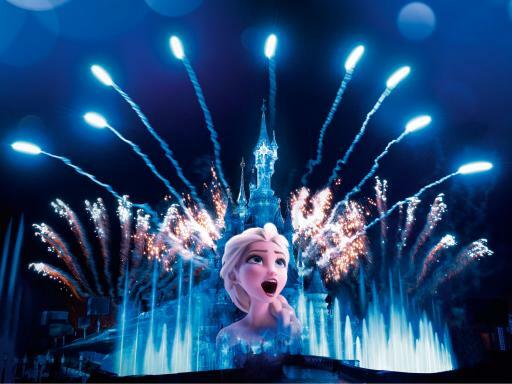 Such magical moments cannot wait, so purchase your Disneyland® Paris Tickets today! Disneyland absolutely amazing. Tickets easy to use, just scanned the tickets and away we were. Worked for fast passes too. Great tickets. Did exactly what we wanted. Highly recommended. Tickets were fine, had to redeem on first day but no issues. The most ambitious space adventure ever. Ditch those tired old ideas and get ready to live without limits. 5-4-3-2-1…blast off! Vibrations rip through your entire body. The G-force crushes you deep into your seat. Hurtling past a brightly coloured nebula like a high-speed, hard-curving cannonball, the Mission spacecraft hits zero gravity. Welcome to the edge of the universe, Exploronaut. 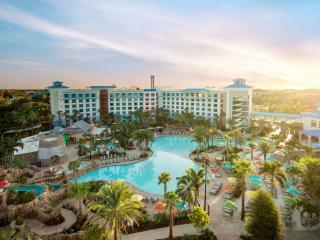 Shrinking down to the size of a rat, you’ll be immersed in a Disney experience like no other. 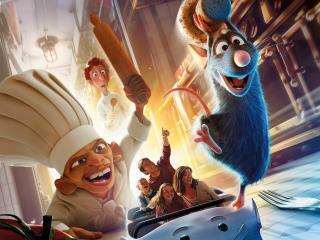 Rémy and his friends cook up a storm when Chef Skinner sends you scurrying through the sights, smells and senses of Gusteau’s restaurant. 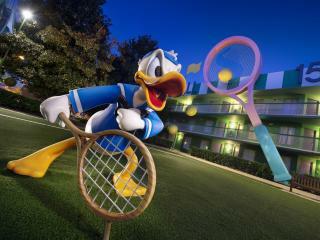 Duck, dive and dodge your way through a Disneylicious adventure that’s sure to leave you hungry for more. This smile-high adventure zooms you on a lightning fast journey through the hi-amped world of rock music - all set to the driving beat of Aerosmith! 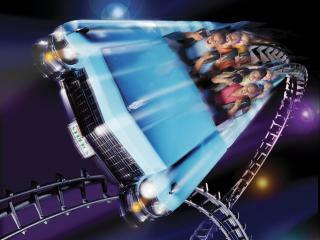 You'll "ride the music" with 120 onboard speakers and more G-forces than an astronaut experiences. 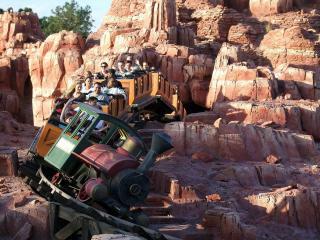 Hold onto your hats for the fastest, wildest train west of the Mississippi. Watch out for coyotes and rattlers at every turn and hold onto your hats, as you twist and turn and plunge headlong through caves and rivers. It's dynamite! 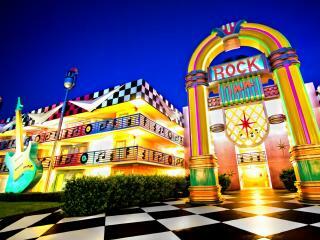 Brave the creepy façade of a once-glamorous hotel for a jolt back in time. 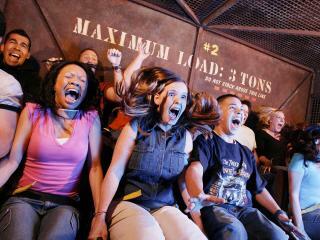 Board a phantom elevator, shoot up 13 floors and brace yourself for a thrilling plummet…but beware! The experience just got scarier. You rocket back up, only to plummet down yet again. You dare to ride once more, but wait! That's not what happened before. That's right, now the Tower is in control. Drop in if you dare! 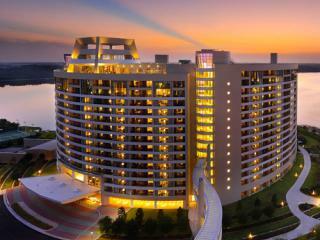 To Disneyland® Park, and beyond! 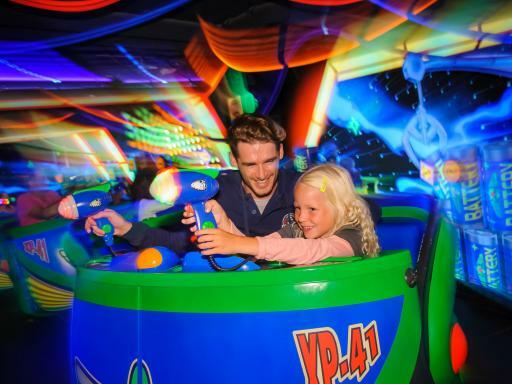 Be one of the chosen, and buckle up with Buzz Lightyear to defend toys against the Evil Emperor Zurg – on a code-red intergalactic emergency ride into the Gamma Quadrant. 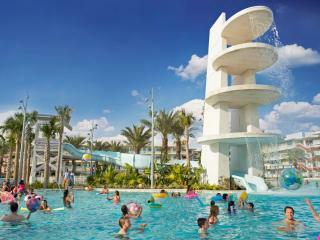 Dive into a whirepool of adventure with Crush's Coaster. Join Nemo and friends as you explore beautiful coral reefs, a submarine wreck in the ocean deep and meet vegetarian sharks Bruce, Chum and Anchor. Please note: Crush's Coaster is closed for refurbishment until February 2019. Prepare yourself. Take a deep breath... and whatever you do, don't close your eyes. You're about to see some of the world's best stunts up-close! Feel your heart pound as the latest show from the mastermind behind Movielands most memorable action-packed stunts, zooms into top gear. 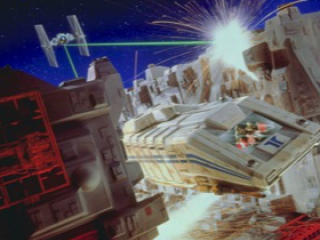 In another galaxy far, far away… what you thought would be a leisurely trip to the Moon of Endor on a Star Tours robot-piloted Starspeeder 3000, quickly turns into a heroic light-speed adventure through asteroids and toward the Death Star! Mission complete! 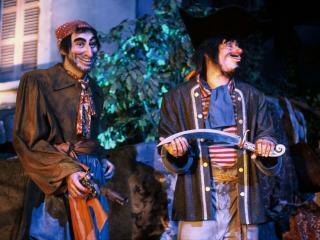 Join the rowdiest crew of swashbucklers ever in the siege of a Spanish fort. It's a fierce sea battle to the finish. So keep your wits about you or walk the plank! 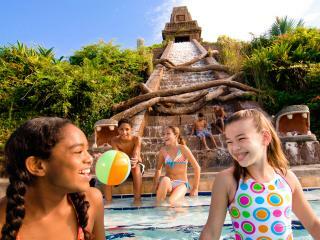 Take the challenge and live the story of Indiana Jones™ and the Temple of Peril. 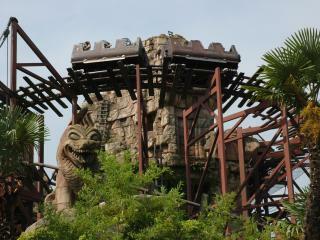 It's a cliff-hanging, high-speed ride through ancient torch-lit ruins. And a fast track to discover the hero inside you. 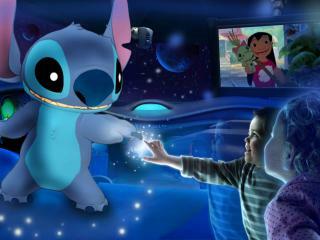 Check out this totally amazing interactive show featuring Stitch, from the popular Disney film Lilo & Stitch. You can play, laugh, joke or even have a whole conversation with him, even with his alien accent! This is a first-of-its-kind live, real-time animated show you have to see to believe. Watch your little ones bubble with joy when each picture book springs to life. 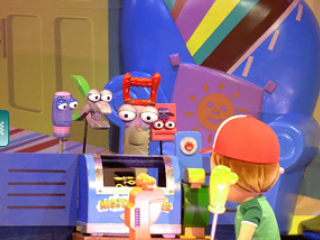 It's the once-in-a-lifetime chance for every kit to kick up a fan frenzy and swarm round the stage, up close to their most beloved characters from Playhouse Disney Channel, live! Andy's speediest toy car is sure to get you and your family's adrenaline pumping. 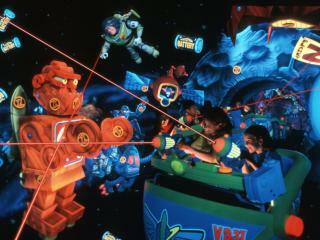 RC Racer is the most thrilling new ride in Toy Story Playland. Race along a 25 metre-high half-pipe coaster, as RC zooms you around at full speed...it's a real gas. 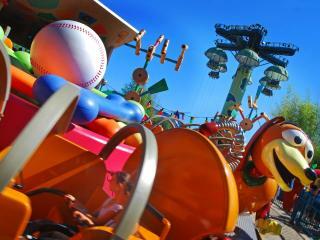 Everyone's tongues and tails are wagging about the all-new "zigzag-a-coaster" Slinky Dog Zigzag Spin. 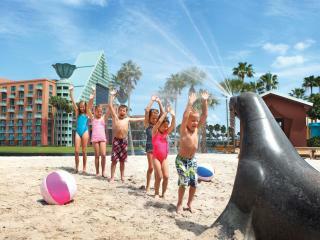 Family pups of all sizes will howl with laughter as they join Slinky®Dog in a rollicking spin to catch his own tail. 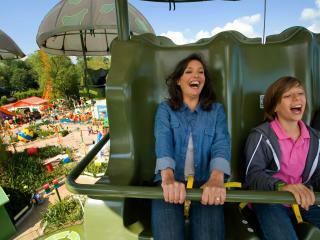 It's barking mad fun in Toy Story Playland. 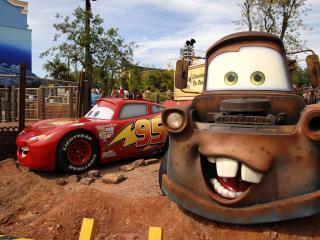 Join the race for Route 66 and wake up the sleepy town of Radiator Springs! Discover the racing driver inside you, with helpful advice from Flash McQueen and Martin. We won't see you for dust! Please note: Cars Race Rally will be closed from February 2019 until September 2019. You've seen a housefly and a horse-fly, but have you ever seen an elephant fly? 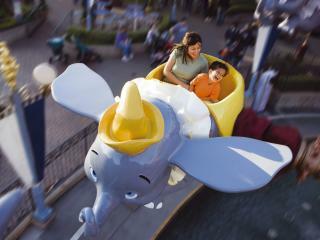 Young children as well as adults will get a great view of Disneyland Park as they swoop and soar with Dumbo. Please note: Dumbo the Flying Elephant is closed for refurbishment until April 2019. 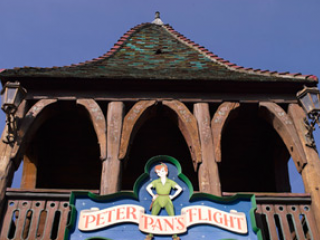 Sail in a flying Galleon over starlit London and follow Peter Pan on a fantastic journey to Never Land. 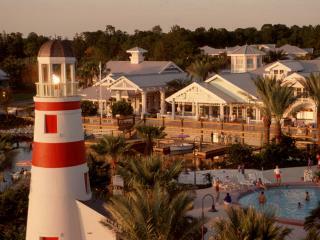 Glide past mermaids and Indians and watch Captain Hook try to escape the crocodile's jaws. This is one ride where no-one grows up! Take the family on this joyful musical tour of the world. Marvel as dolls of all nations sing and dance to the famous "it's a small world" medley. You'll be singing a happy song for the rest of the day. Head backstage to meet magician Mickey in between shows. 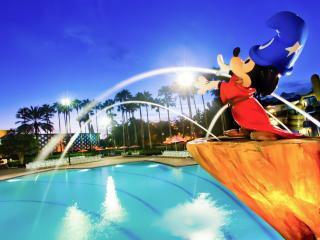 Take a photo and discover some amazing magical Disney tricks and secrets. 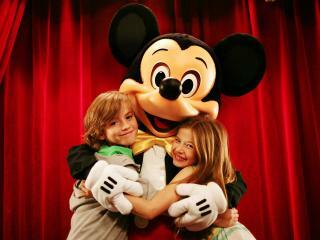 Mickey Mouse loves meeting all the visitors and having his photo taken with his fans. 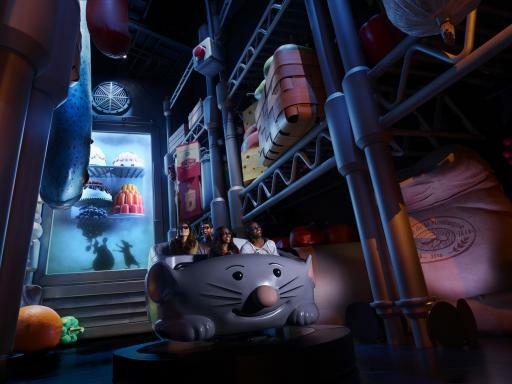 You'll be peeking through your fingers in this fun-filled mystery ride. Portraits move, rooms stretch and mirrors bend, in this spooky Manor. 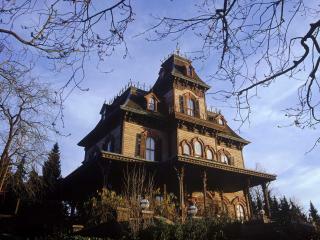 You will find ghoulish ghosts and spirits greeting you at every turn. 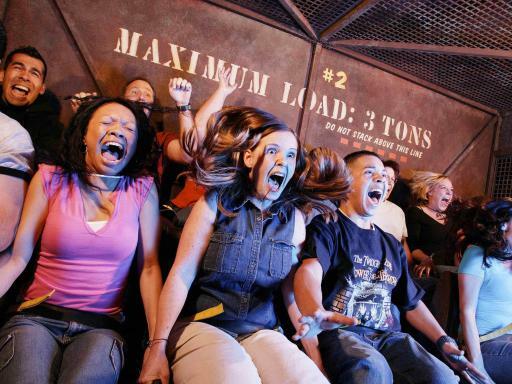 This experience is sure to have you screaming for more. 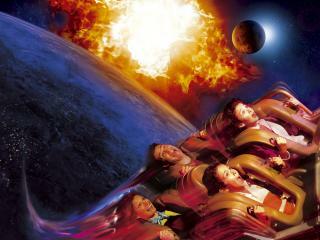 Get ready to pilot your own spaceship high in the sky above Discoveryland amid a gleaming universe of orbiting planets. You control the height of your vessel on this fast and futuristic ride whilst it whizzes you around a galaxy of planets. Board a high-tech tram and join this relaxing tour around Production Courtyard. 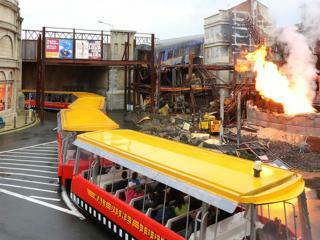 As you go behind the magic at Walt Disney Studios Park you will see full scale movie sets and boneyard props, but don't get too comfortable as an explosive disaster is just around the corner! 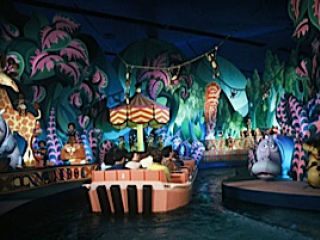 Embark on a fantastical voyage into the White Rabbit's Hole as you take your own adventure in Wonderland. Meet the Cheshire Cat and take on the Queen of Hearts' daunting maze. Look out for card soldiers as they pop up to a scream of 'Off with their heads'. 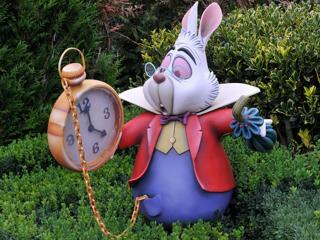 A Cheshire Cat-sized smile awaits you around every corner in Alice's Curious Labyrinth. 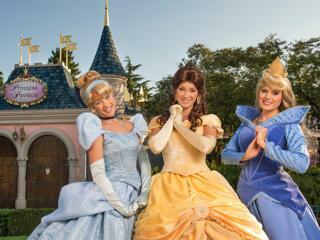 You've been invited to meet a real life Disney princess at Princess Pavilion. 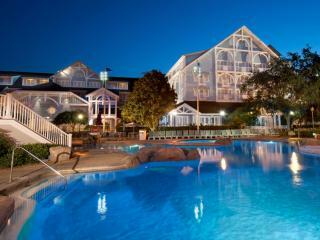 Make your dreams come true and feel like a fairytale princess by spending a magical moment with a Disney princess in the most enchanting of surroundings. 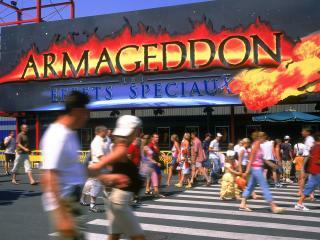 Come and join the crew of Armageddon and discover the history of special effects. 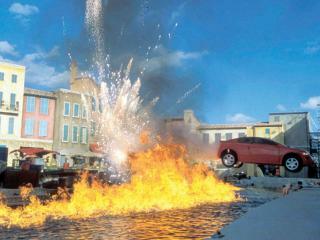 Rocket over to the backlot for an explosive special effects experience. 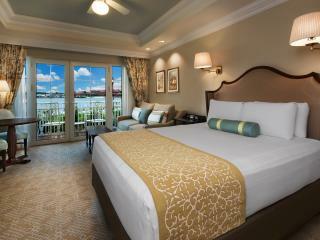 Don't close your eyes, because you won't want to miss a thing! 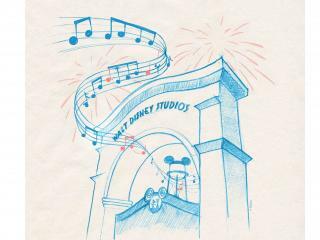 Don't forget to pencil in some time and discover how a Disney classic gets made here at Disney Animation Studios. 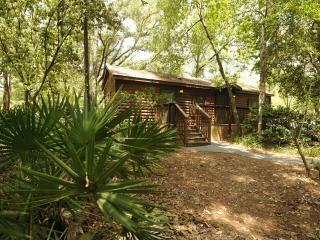 If your feeling artistic you can even try your hand at crafting some magic yourself to complete this magical experience. Round up all your little recruits and march over to Toy Story Playland for an exciting parachute drop behind enemy lines. Buckle up, and brace yourself for a thrilling 82 ft drop above an army base full of lookout towers and oversized green toy soldiers. It's like you're part of one big play set!